This means two thousand and twenty-seven guns went missing from armouries where firearms are supposedly under safekeeping, the reply to a parliamentary question posted by Democratic Alliance (DA) shadow deputy police minister, Dianne Kohler Barnard, reveals. She maintains the loss of weapons in this quantity means police “are fuelling the illegal arms trade”. The loss of 602 weapons ln 2014/15, 630 in 2015/16, 537 in 2016/17 and 248 since April this year is, according to her, the result of institutional failure at SAPS. She also points out the high number of missing firearms goes beyond the occasional case of negligence and “is evidence of a problem not unrelated to high levels of corruption and criminality in the SAPS”. “It cannot be that the custodians of our safety and security are worsening crime because of gross negligence and poor security measures. This only gives the public less reason to trust the police,” she said calling it “unacceptable” and “making it a mockery of the fight against crime”. 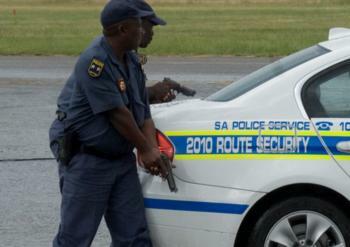 She plans to ask Police Minister Fikile Mbalula to order a full audit of all SAPS firearms.